The club provides a forum for riders to have a voice in the sport and be involved in the organisation and promotion of Race Meetings. We cater for Road Race enthusiasts of all ages and interests. Follow us on facebook to find out the latest news. 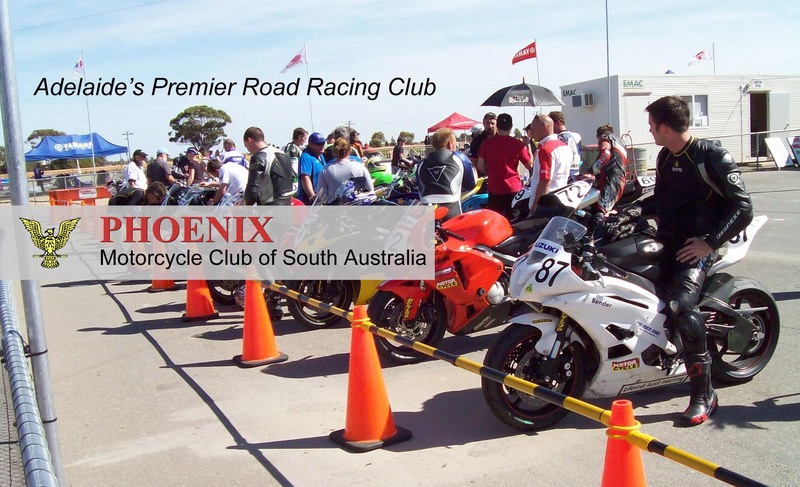 Want to know about the Public Ride Days at Mallala? Interested in racing? Have a look at our Beginners pages. Our Membership section has information about the club and how to join. Photographers: get approval to work trackside at our events. Check the weather forecast for Mallala? Looking for accommodation near Mallala?